Are you looking for a dental clinic that provides teeth whitening in Tipperary? Teeth whitening is the easiest, most popular and most cost effective way of improving the appearance of your smile. 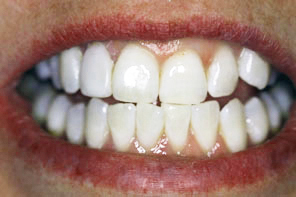 The effect is achieved by lightening the natural colour of teeth without removing or damaging the surface. 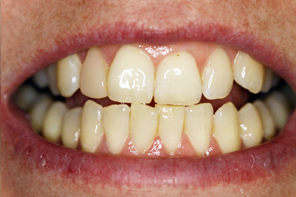 Teeth whitening involves placing a gentle bleaching solution into specially made, custom fitting trays. At Aramore Dental we have extensive experience in providing the best whitening system available. Some minor sensitivity is normal as each case is different, but by using gentle bleach and precisily fitting, custom made trays we greatly reduce any sensitivity. Q. How white will my teeth go? All teeth will whiten with bleaching but everyone is different and some people will require longer treatment than others. By using our custom fitted trays, you can top up your bleaching whenever you want to keep your teeth looking their best. Additional bleach is available to purchase at the surgery. Best results are achieved with 6 monthly applications after a scale and polish. Unfortunately, bad habits such as smoking and coffee consumption will stain the teeth. This will compromise the result. Recently introduced European leglislation means we can only whiten teeth of patients who are 18 years or older. There is no upper age limit.